The Cobra Kind LTD fairway woods feature translucent Spaceport technology, which is a multi-purpose weight that is strategically placed low and deep in the head to help create an extremely low CG with high MOI. The Textreme carbon fiber crown reduces crown weight to allow for more weight to be positioned lower and deeper to deliver extreme distance and greater forgiveness. The King LTD also features Speed Channel Face Technology to further increase ball speeds and create a larger sweet spot. The MyFly8 Technology with SmartPad allows custom loft and trajectory settings for all player types. 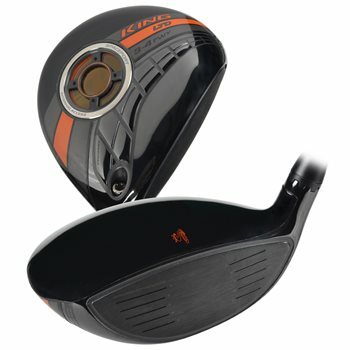 Does the used club include the hardware needed to change the loft? Does it come with a cover? I just noticed my question was answered in the features an specs section. Thanks!